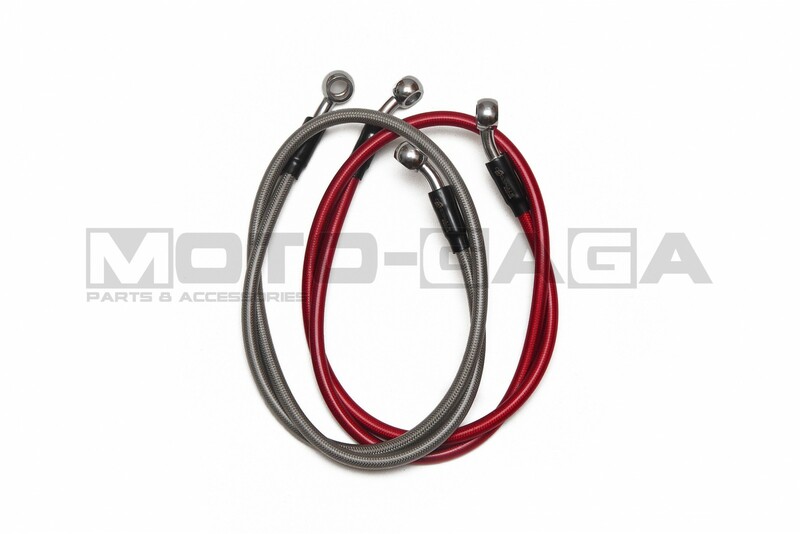 Cardinals Racing braided stainless brake lines improve braking performance over the standard rubber hoses, with a consistent feel under braking. 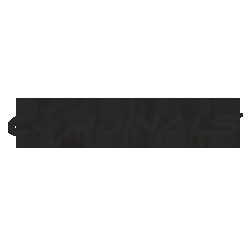 These brake hoses are able to withstand continuous high pressures of hard braking. 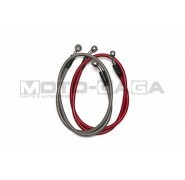 Each inner teflon brake hose is wrapped in a layer of stainless steel braids and protected with a silicon sleeve. Available in a few different colors and lengths. 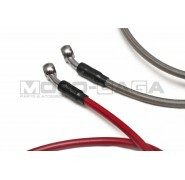 Installation is straight forward, the brake hose uses universal standard M10 (10x1.25mm, 10x1.25mm) size AN type fittings with an angled banjo bolt. 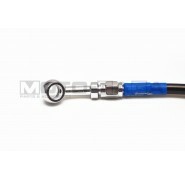 This universal brake hose is available in 600mm, 900mm, 1000mm and 1500mm lengths.